Story of the Week: Eight Miles—Straight Up! 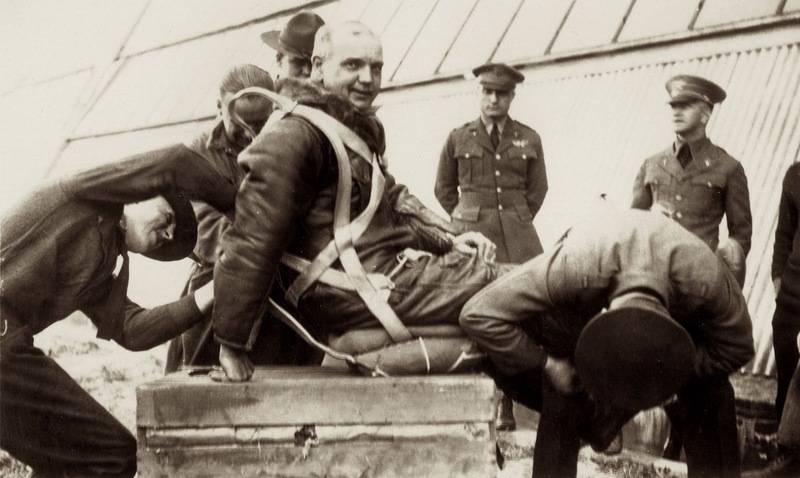 Captain Hawthorne Gray before his fatal world altitude record attempt, November 4, 1927. From Scott Air Force Base Historical Photos, via Wikipedia Commons. Gray was perhaps the best-known Army aeronaut of his day, a reputation burnished by his efforts to regain the world balloon altitude record for the United States. All three attempts were made from Scott Field in Belleville, Illinois. The first, on March 9, 1927, had been a relative failure. The second, on May 4, reached a height of 42,470 feet and would have reclaimed the record but for the fact that Gray left his balloon and landed by parachute, disqualifying him according to the rules. That summer he wrote an account of his second flight, “Eight Miles—Straight Up!,” which appeared in Popular Mechanics. Gray tried again on November 4, 1927. His balloon rose smoothly but the chase planes soon lost sight of him due to clouds. Unable to reconnect with the balloon after some hours, the planes eventually landed, figuring that Gray by then would himself be on the ground. His body and balloon were discovered in the treetops the next morning by a boy near Sparta, Tennessee. Flights into the stratosphere—“eight miles straight up” and beyond—were clearly perilous, yet ironically Gray was not a victim of what doctors most worried about at such altitudes: the effect of low atmospheric pressure on the human body. The military’s posthumous inquiry revealed that he died of asphyxiation. During his prior flight Gray had discarded too much ballast too quickly, and ascended too fast. On his fatal and final flight Gray let his balloon rise much more slowly—but as a result he consumed more of his limited oxygen supply. At 3:17 p.m. he wrote in his log, “clock frozen,” indicating that he had lost his ability to calculate how much breathing time remained. Yet he continued upward and a barograph recovered from the crash site indicates he reached a maximum height virtually identical to his previous flight. Shortly afterward Gray began his descent, but around 4:38 p.m., the point at which he had calculated he would run out of oxygen, he was either unconscious or already dead and still descending through air too thin to support human life. According to its instruments, his balloon landed in a tree at 5:20 p.m. 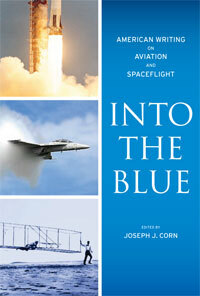 The above introduction is adapted from the headnote that precedes this selection in Into the Blue: Writers on Aviation and Spaceflight, edited by Joseph C. Corn. How does it feel to soar more than eight miles into the air, higher than man has ever gone before, up where the air becomes too thin to support life; where the thermometer, headed for the absolute zero of outer space, has already reached nearly seventy below zero? . . . If you don't see the full selection below, click here (PDF) or click here (Google Docs) to read it—free!